Here is your first look at Steve Coogan, donning his Pringle jumper for the first time in seven years. Alan Partridge will be returning in a new series of 12, 11 minute short Partridge shows for the internet, which will appear online from November 5 on the site Fostersfunny. 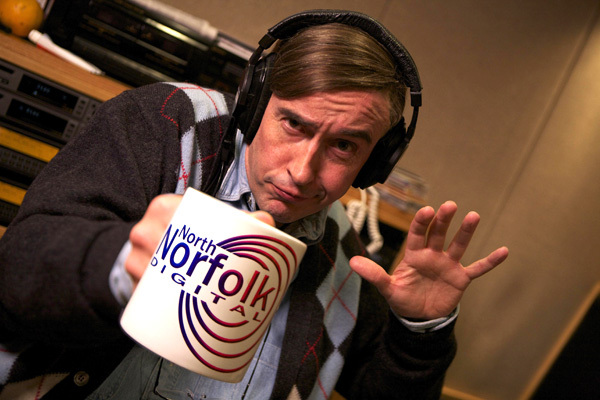 ‘I am delighted to announce that after years as a regional broadcaster on North Norfolk Digital my groundbreaking radio segment, Mid Morning Matters, will now be accessible to a potential audience of billions via the World Wide Web (www). ‘That it has taken Foster's to help realise my dream of joining the information superhighway is a damning indictment of the established broadcasters whose shabby treatment of me on Sept 10th 2001 was frankly shabby. I made dozens of calls the next day, all of which were ignored.